STORY: For many high school athletes across the country, there are two days circled on their calendar of dreams. 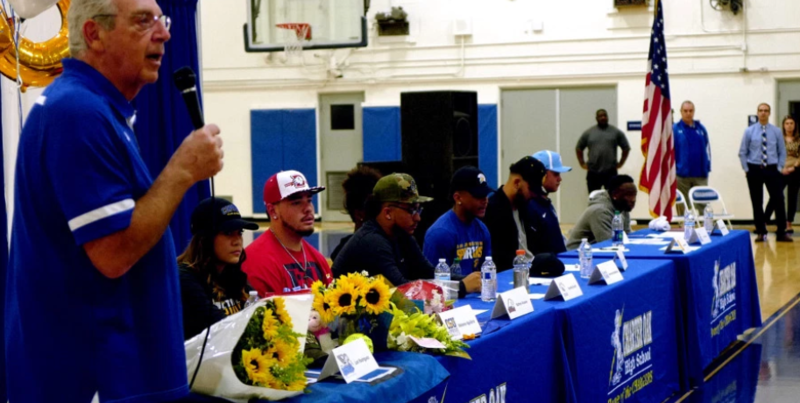 The day they graduate, and the day they can sign national letters of intent.For high school football and soccer players, national letter of intent day arrived on Wednesday, and so did the celebrations across the Southland for the many earning scholarships after years of hard work not just on the athletic fields, but in the classrooms. Parker Haveles, Glendora, Southwest Minnesota State. Nathaniel Marshall, Montebello, Central Methodist University. Isaiah Tennell, Nogales, Rocky Mountain College. Lauren Garcia, La Mirada, MacEwan University, Edmonton, Canada. Ashley Peck, La Mirada, Hope University. Rebecca Caudillo, La Mirada, Hope University. Lauren Garcia, MacEwan University, Edmonton, Canada.